When it comes to water features, you can’t get more creative and natural than the Falls Group. Our water falls and ponds are stunning. 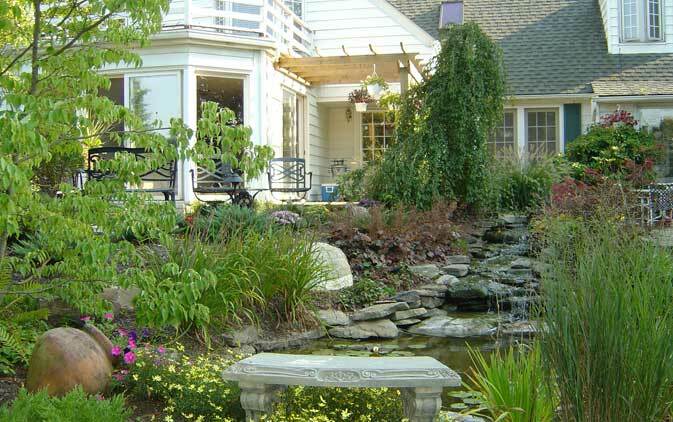 Whether you need a small space feature, efficient pond less waterfall or a full blown bio falls, winding creek and large water garden, The Falls Group can bring your yard to life. 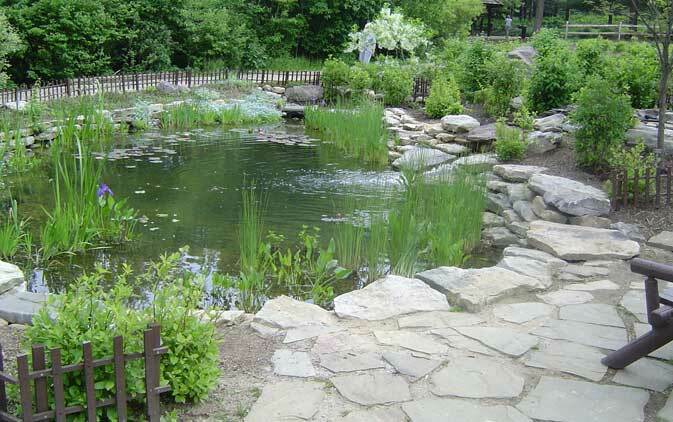 Our ponds feature natural caves and levels for plants and wildlife alike. Naturalized with wash gravel and natural stones, the ecosystem created includes recirculating water, charged with bacteria and skimmed of debris through nets and filters. Our water features are designed for low maintenance and high enjoyment. Water plants and fish can add hours of enjoyment to your day or our pondless feature offers the refreshing sights and sounds of a waterfall without the pond water. The Falls Group teaches water feature installation classes, has participated in annual water garden tours, and has won awards for its water features. We have installed water features at the White House Easter Festival, at the ITIAPE horticulture school in Lille France, The Cleveland home and garden shows, many private residences across the country as well as “Freedom Flight Falls” at the Cleveland Zoo.